One thing that I have found in life is that no matter how tough my situation may be, God always has a way of revealing to me someone who is facing harder obstacles and maybe greater pain. During these times, I have often heard reassurances that God will bring good out of the bad (Romans 8:28). Often this is exactly what happens. However, it sometimes requires my reliving of the pain and hardships in order to bring comfort and fellowship to someone who is now facing their own hurt. I am thankful for the opportunity to join with Nancy Fileccia in the release of her new book, More Than a Memory: The Candace Kate Story. May her testimony and story be an encouragement to others as a way of celebrating the importance and value of her daughter’s life. Stay tune in the coming days for the posting of my review of More Than a Memory. To help Nancy celebrate the upcoming release of her book, I’m joining with other bloggers from the Candace Kate Launch Team to bring you this amazing giveaway! There will be 2 winners and one winner will win an iPad Mini! To enter, use the Rafflecopter below. U.S. residents, age 18 and older please. 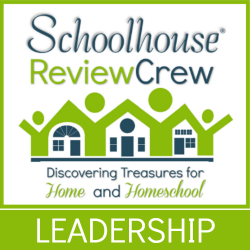 Thank you for providing my family and I with such great homeschool product reviews. I’ve not heard of her story before. Thanks for sharing. I hadn’t either. But it certainly reminds me that He reminds us to use the testimony He gives us for His glory.